Adrian Regos, from the Forest Sciences Centre of Catalonia, will be six months with CEF researchers (Pierre Drapeau), working on breeding bird dynamics, analyzing potential drivers of change and distribution patterns. Enjoy your stay! Martina Sánchez-Pinillos, from the CTFC, is spending three months in CEF working with Alain Leduc and Daniel Kneeshaw. Martina will be assessing the main compositional and structural components conferring resilience of Boreal forests to spruce budworm (Choristoneura fumiferana (Clem.)) 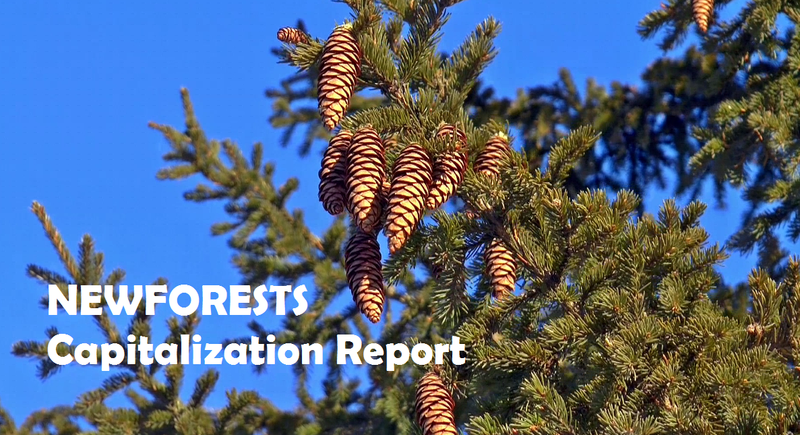 outbreaks, one of the most serious natural disturbances of fir and spruce forests in eastern Canada. Enjoy your stay! Roberto Molowny, from the CREAF, is spending one month in CEF working with Liliana Pérez. Roberto will be working on biological-invasions numerical modelling with cellular automata, agent-based and swarm-intelligence algorithms. Enjoy your stay! Enrique Doblas, researcher in the CREAF, will spend 2 month with CEF researchers (Alain Paquette and Timothy Work). Enrique will be investigating the effects of tree diversity on soil arthropod communities in agroforestry. Identification of samples collected in Canada will be finalized and analysis of sample data will be performed. Enjoy the stay! Pere Casals, from the Forest Sciences Centre of Catalonia, will spend three months working with CEF researchers (John William Shipley). Pere will be studying the trade-offs of different plant strategies after forest prescribed burning in Boreal and Mediterranean ecosystems. Enjoy your stay! Sara Bastien, from the Forest Sciences Centre of Catalonia, will be working during three months with CEF researchers (Alain Paquette, Christian Messier) designing an experimental IDENT plantation in Catalonia. Good luck and enjoy your stay! Lluís Coll, from the Forest Sciences Centre of Catalonia, is spending three months working with CEF researchers (Dan Kneeshaw, Christian Messier). Lluís will be working on the spatial dynamics of mixed forests in Boreal and Mediterranean ecosystems. Enjoy your stay! Núria Aquilué, from the Forest Sciences Centre of Catalonia, is spending seven months in CEF. Núria Aquilué conducts her PhD under the supervision of Lluís Brotons (CTFC), Christian Messier and MJosée Fortin (CEF). Núria will be working on the spatial modelling of land-use changes and its interaction with fire regimes in Mediterranean and Boreal systems. Have a great time!